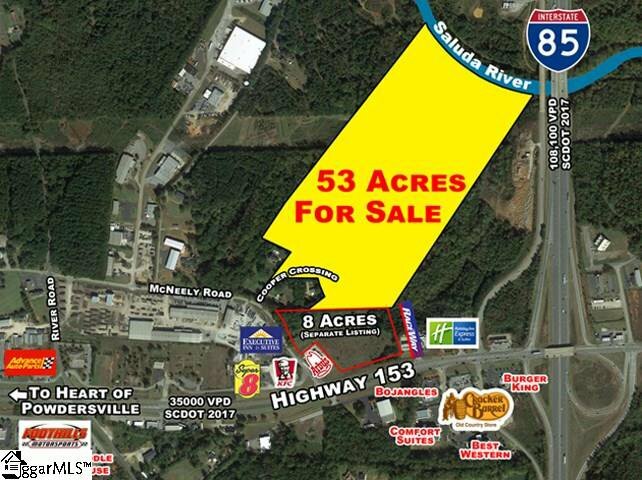 3 Acres located in the booming Powdersville Area, adjacent to I-85 20 Cooper Crossing, Powdersville SC Ideal location for a major shopping center. Combine with the adjoining 8 Acre tract on Hwy. 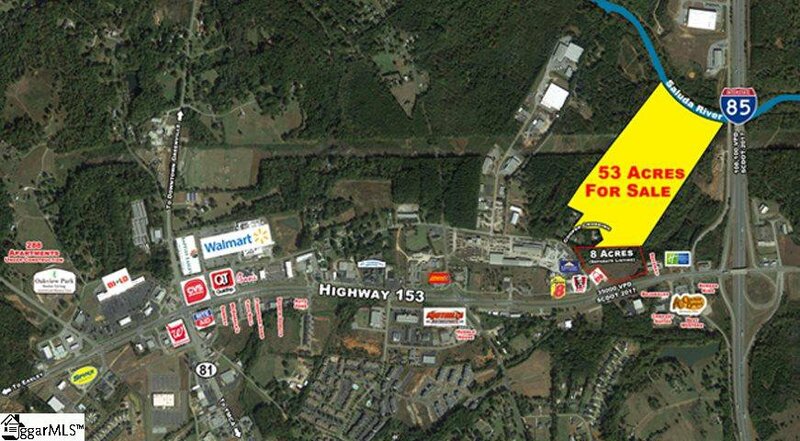 153 and you have the potential for a town center in Powdersville. Powdersville is one of the fastest growing areas in the Upstate, and the fastest growing area in Anderson County. Marked by proximity to the interstates, great schools, and the nexus for Greenville, Anderson, and Pickens County, Powdersville is growing at triple the rate of Anderson County. The rear portion of the property is bordered by the Saluda River. This section is ideal for multi-family development. Water, Power, and Sewer on site. Listing courtesy of Leonardi Bracken Real Estate.